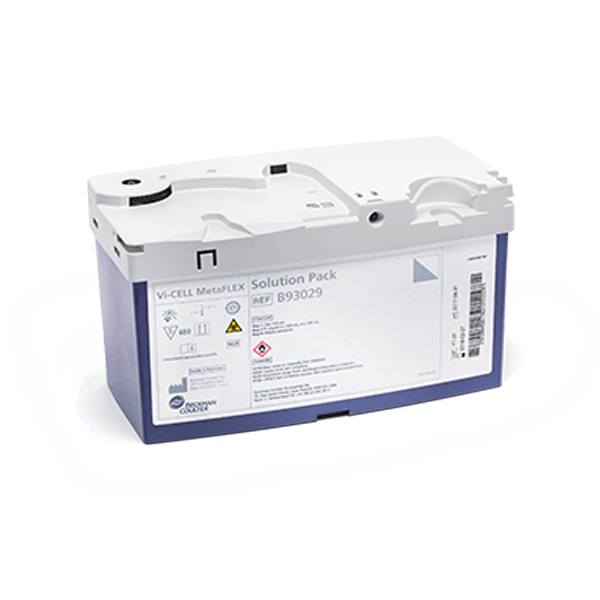 The solution pack for the Vi-CELL MetaFLEX enables ease-of-use with on-screen instructions and simple step-by-step guidance. All necessary fluids are contained within this replaceable solution pack. The solution pack also contains the solutions required to perform internal quality control and calibrations, as well as a container for waste. All of the measurements performed by the MetaFLEX are conducted within the sensor cassette, and all necessary fluids are contained within a replaceable solution pack. The solution pack also contains the solutions required to perform internal quality control and calibrations, as well as a container for waste.